Our old favorite news paper game is now out in a mobile game version. The concept of the game is same with the news paper version. All you have to do is to spot the difference between the two pictures. Find the Difference is a great puzzle game to test your observation. This would exercise your brain while your playing. You are provided with 2 pictures pair. The picture pair will appear to be much similar to each other but they aren’t they are hidden. You gotta exercise your search and observation and spot the difference between the pair. Just tap on the point where you observe the difference. If you tap at the wrong position then your time would be reduced. To set high scores, finish the levels faster. 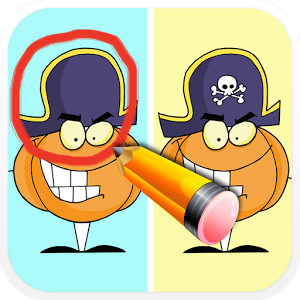 If you are stuck then use a maximum of 3 hints by pressing the magnifier. Score more and win big on the board game which is rated high. Detect and Search. You can even share on social networking sites like Facebook, Twitter, etc.